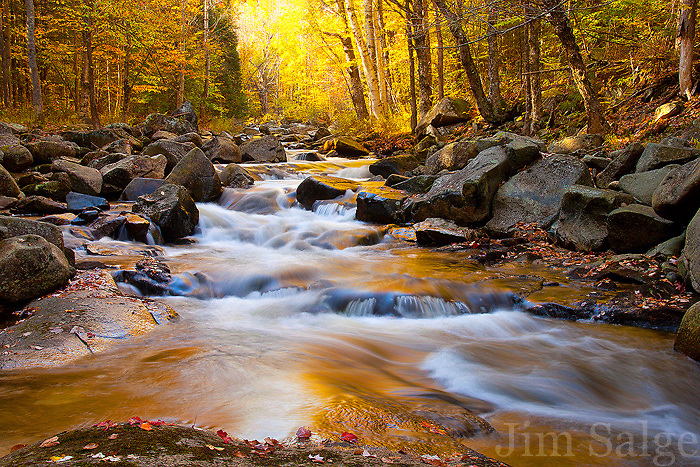 A small unnamed stream in the White Mountains becomes awash with color in the morning sunlight. This stream is roadside in Jefferson, NH, but is easy to miss, and usually not impressive. The incessant rainfall recently has provided some unique opportunities this year during peak foliage!